Quamby was designed in 1941 by Roy Grounds for a site left undeveloped for many years because of its difficult terrain. It forms a headland on a bend in the Yarra with wide views to the north. A block of six flats and one maisonette, Quamby was constructed for WE Champion. Internally, the flats have an open kitchen, living and dining areas with wide north-facing windows. The kitchens and bathrooms are well-detailed with built in fittings. Each flat has its own large outside area. The footings of the structure are off-form concrete. The lower walls are built with stone from the site. The upper walls are painted brick, and steel columns support the side balconies. All the roofs are flat. Quamby is of architectural and historical significance to the State of Victoria. Quamby is of architectural significance as one of Roy Grounds' most impressive buildings, an example of the Contemporary style at its best, and as one of the most influential flat designs of its time. The difficult site required a skilful response, and Grounds' solution is particularly dramatic and represents the culmination of his early flat designs. The walls of the flats follow radius and annulus lines calculated from an imaginary point in the turning circle of the street, and the rocky site was accommodated by stepping the flats up and down within this radial formula. Radii and arcs became dominant themes in Grounds' later designs. Quamby established Grounds' reputation as an important 20th century architect, and, together with his other flat blocks built around the same time, Clendon, Clendon Corner and Moonbria, had a dramatic influence on post-war flat design. Innovations in Quamby flats included some of Australia's first linked kitchen and living spaces. Their plain wooden fittings and quiet colour represent an early and isolated move away from contemporary interest in conspicuously industrialised detail. The flats were also a notable example of the burgeoning effort to achieve integration between buildings and the Australian landscape. 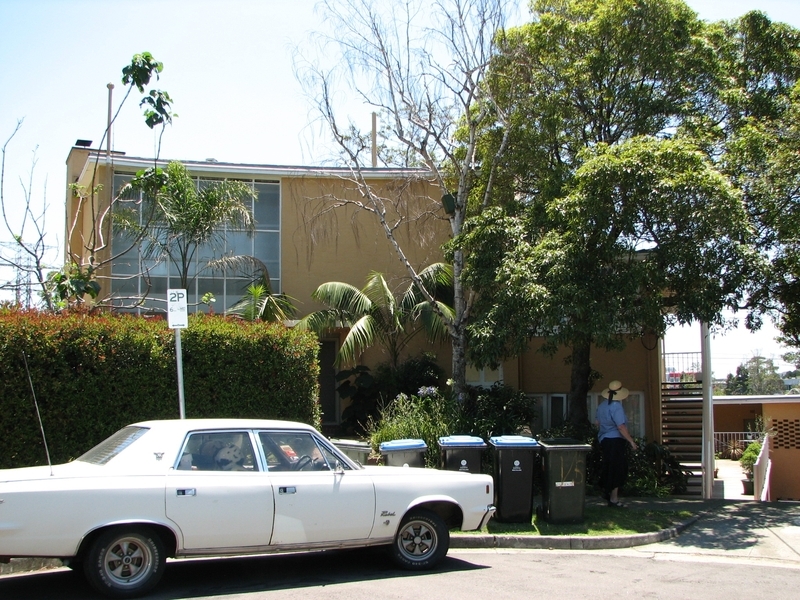 Quamby is of architectural significance for its associations with Roy Grounds, one of Melbourne's most influential modern architects, who not only designed the building, but occupied one of the flats between 1941 and 1944. Grounds was born in 1905, and studied architecture at the University of Melbourne before travelling to America where he worked as a set designer. Returning to Australia in 1932, Grounds set up in association with architect Geoffrey Mewton, designing furniture and light fittings and later houses. Grounds? remarkable house designs employed platonic geometries, producing triangle, circle and square floor plans. Between 1953 and 1962 he formed a formidable partnership with Frederick Romberg and Robin Boyd. Perhaps Grounds' best known building in Melbourne is the National Gallery of Victoria. Quamby is of historical significance because the provision of an air raid shelter in the development gives some indication of the effect of the Second World War on Victorian society. Constructed around the time of the bombing of Darwin in 1942, Quamby's air raid shelter reflects the fears excited by the rapid Japanese advances in the early years of the Pacific war. Historic Building No. 603, Quamby, 3 Glover Court, Toorak (to the extent the whole buildings and the whole of the site). Roy Grounds travelled extensively in England and America between 1919 and 1932, and worked as a set designer for RKO and MGM 1930-2. He was one of a number of Australian architects who travelled overseas in the 1930s and brought back ideas that were adapted to Australian conditions. The concept of regional architecture in Australia gained ground in the 1950s and Grounds was influential in this respect. The so-called Melbourne School of the 1950s was especially concerned with geometric structural form and linking to the site, and was contrary to the otherwise pervasive International Style. 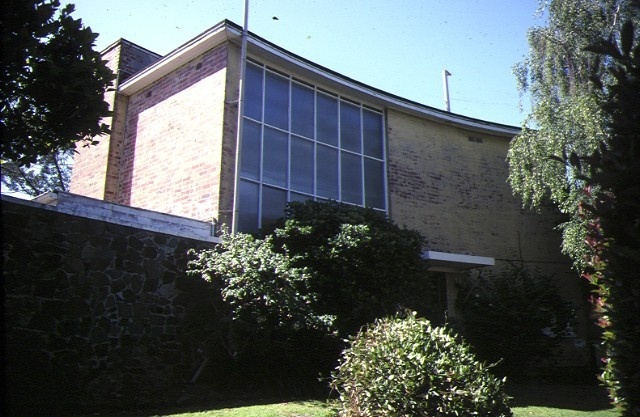 Concern for the site and organicism was also a particular feature of the so-called Sydney School of the early 1960s and Quamby should also be placed in the context of that later development.